Not to panic you, but there are only a few weeks left until Christmas and even fewer weeks until Hanukkah! Really that is plenty of time to get ready. But, the sooner you get started, the more time you will have to think of amazing, one-of-a-kind gifts to give to family and friends. I try to be as creative, non-consumerist, and minimalist as possible at Christmas time. But, after a few years of this, I am really running out of ideas. I’m pretty sure that my family and friends are tired of receiving homemade candles, tins of cookies, and crocheted scarves, hats, and blankets. I would love to be able to show my family how much I appreciate them by giving them a one of a kind experience this year instead of a home-made gift. In my quest to think outside the box for my holiday shopping, I created this list of 10 great alternative Christmas gift ideas. 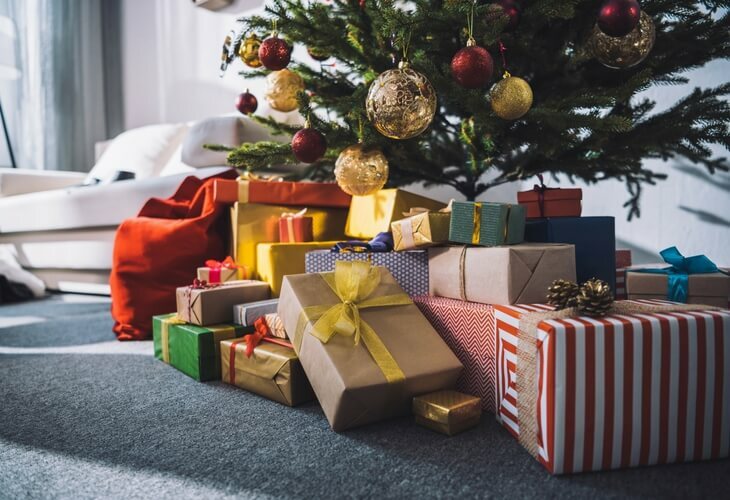 Even if you tend to procrastinate on your holiday shopping, you’ll still be able to use this list to find the perfect thing for your loved ones this holiday season. I know I just mentioned thinking outside of the box, but bear with me. Subscription boxes are a great gift idea, because it’s a gift that keeps on giving. Every month a new box will arrive with new goodies for your loved one. The best part is that many subscription boxes contain consumables, so your gift won’t turn into clutter in your loved one’s home. There are subscription boxes for everything, including crafts, books, organic food, cigars, wine, and international items. There is a subscription box out there for people of any age or interest. Buy tickets or passes or a voucher for a one of a kind experience. Send your loved one on a new adventure. Some ideas are: a hot air balloon ride, paragliding, swimming with dolphins, white-water rafting, river-tubing. There are endless adventures out there that you could give as a holiday gift. Literally, the sky is the limit. Paying for one or two nights at a cozy bed and breakfast would be the perfect holiday gift to give your partner, or even your parents or in-laws. Use a bed and breakfast finder to find the perfect getaway, or book one on Airbnb. You can even save $35 off a stay of $75 on Airbnb with this link. I stayed in a bed and breakfast once, and it was a phenomenal experience. I highly recommend it! Maybe your loved one has always wanted to learn how to play the piano, or they’ve expressed interest in taking an art class. There are all kinds of classes out there that are both really fun and inexpensive to take. Look at the class list for the local community college, look on Craigslist, or look on a class finding website. Museums, aquariums, monuments, wineries, and breweries are all great places to set up a behind the scenes tour. Pick a location that you know will pique your loved one’s interests, and buy tickets for them to have a once in a lifetime experience getting a behind the scenes tour. There’s nothing worse after the holidays than trying to get the house back in order after having guests in and out of the house. Give your loved one the gift of relaxation by paying for a month of housekeeping services. This will get them back in the swing of things after the holidays are over. Most port and river cities have dinner cruise ships which give their passengers an evening of wining, dining, and entertainment. Dinner cruises are a pretty affordable and one-of-a-kind gift experience. Schedule an entire day out in a nearby city for your loved one. Make sure to have it fully planned, with an itinerary of activities or events, a gift card for lunch or dinner, and money for a taxi or metro tickets so that they can get around. Sports events, international ballet, theatre shows, concerts, and Broadway musicals are just a few ideas for buying your loved ones tickets to a performance. Use Ticketmaster to find upcoming shows near you. You could sign them up for a micro brewery lesson, a class in wine making, or a cake decorating class. Maybe they have always wanted to learn how to cook authentic Italian food, including a lesson in pasta making. After they’ve mastered the class, you can enjoy the fruits of their labors! 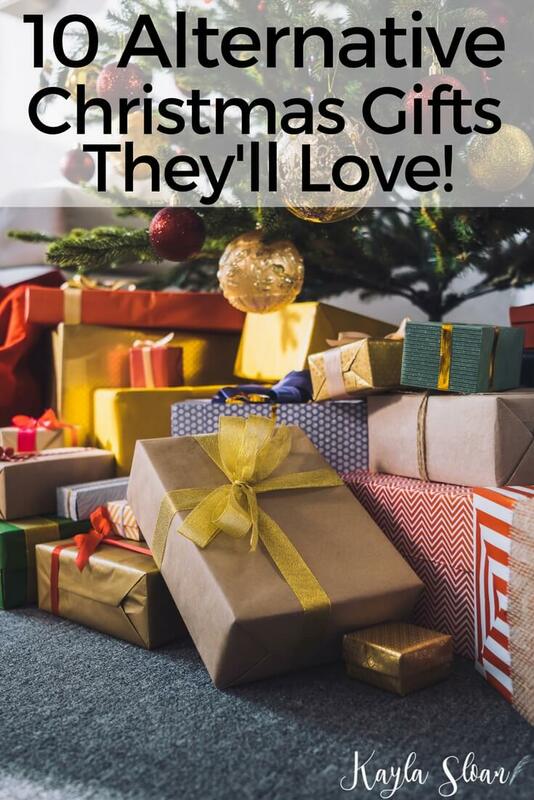 If you want your holidays to be a little less materialistic, use this list of alternative Christmas gift ideas to show your loved ones how much you appreciate them. Each gift idea on this list is a gift that will keep on giving. Give your friends and family a holiday gift what will relax, excite, or provide a once in a lifetime memory. Holiday gift ideas don’t have to be boring. Your dad has enough cookies, candles, and ties. Send him skydiving instead. Have you started planning for the holidays? What alternative Christmas gift ideas are on your list for loved ones this year? This list is fantastic. Love the idea of sharing and gifting experiences rather than things. I will definitely be saving this for later! There are so many great experiences that are perfect for gift giving! I have started planning for the holidays like creating some lists and I am so excited about this season. I would definitely consider these 10 gift ideas especially the tickets to a performance as I know my friends would love this one. It’s great that you’re planning early! I would love to go whale watching someday. What a great gift idea! I’m sorry he got sick though! Some great ideas here, although I have to advise not to employ my brother for the housekeeping job. Last time it took him over a month just to get the sock into the wash! Haha, I would definitely recommend looking at reviews before hiring any kind of service =] We want to make sure both socks end up in the wash.
I’m currently on the hunt for a new years eve cruise – figured since I am in Sydney I may as well get a front row seat to the fireworks right? Have you ever partaken in the river cruise you mentioned or know anyone who can give me advice on whether its as good as it sounds? I have never been on an overnight river cruise, but I have been on a few dinner cruises that were lovely. Having dinner on the river is a gift I would love to be given again. These are really unique ideas Kristi, thank you! Your suggestions are very out-of-the-box, and I especially liked your ideas about nights in a BnB and a dinner cruise. Thanks for the tips!